Please join the conversation on our new discussion board and share site! Do you have questions about strategies for successful RTI2-B implementation? Maybe your team is just looking for some tips and tricks for reinforcement? 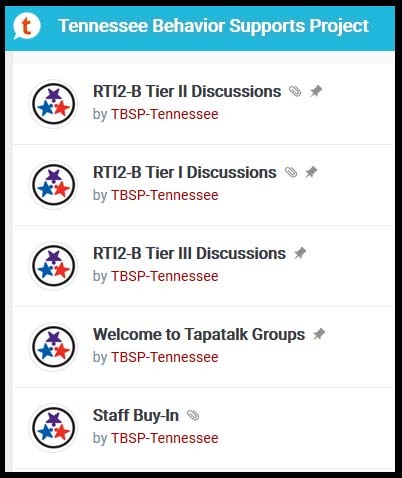 We have created an easy-to-use discussion board for behavior teams across Tennessee. Follow this simple guide to get set up with an account and start collaborating with educators today. Click here to visit the TBSP Discussion Board.